While some people enjoy the leasing game, and getting a new car every couple of years, some of us want to keep the car we have already paid for in full running as long as possible. I am included in that second group—I do not care what I drive and am happy to hold onto a car until its last breath. There are many financial aspects to car ownership we cannot control, like the cost of insurance or gas. But, we can control costs, and make our car last longer, if we are willing to invest in routine maintenance and perform other actions that keep our car in tip top shape. One of the best ways to keep repair costs down and your car in good health, is getting regular inspections—about every 5,000 miles or so. This way you can intervene early with any small problems, before they become costly big ones. For a reasonable price, you can get a 47-point inspection that will look at all major systems and parts. Find a mechanic you trust and stick with him. On a related note, having a regular mechanic is good for avoiding paying for services and repairs you do not need since the auto shop will have a record of service completed on the vehicle. Check your tire pressure on a regular basis—this may not seem like such an important matter, but less than optimal pressure can stress various parts of your car that are very expensive to repair, such as the engine, transmission and suspension. Furthermore, it will keep you safer and increase fuel efficiency. Air filters are all too easy to neglect, and your engine may pay the price. Clogged filters mean that the engine is not performing optimally and in the long run, may suffer damage. Regularly changing your air filters can also improve fuel economy. Poor maintenance of your cooling system can lead to an engine meltdown, which can cost thousands to repair. Maintaining proper levels of coolant is just as important for your engine as making sure it is well-lubricated. You also need to check on hoses to ensure they are being properly maintained. Keeping your fluids at proper levels and changing them on the recommended schedule can take your car a long way in staying functional. Change your oil every 3,000 miles and all other fluids every 30,000 miles. The gas you use to fuel your car can make a big impact in the long-run. With high prices, it can be tempting to use the discounted stuff, and save money in the immediate term. But, this route can end up being more expensive over time as subpar fuel gunks up your engine and reduces the performance of your car. 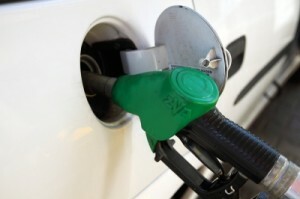 Avoid Costco gas and other providers that offer dated gasoline. Kelli Cooper is a freelance writer who blogs about a variety of auto topics; if you are looking for car insurance in Canada, she recommends visiting kanetix.ca to compare quotes from multiple carriers.